The foremost guide to foes in the Star Wars universe. 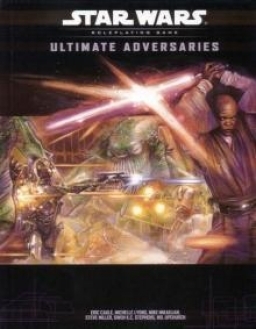 Ultimate Adversaries is a sweeping collection of fully illustrated villains, creatures, and droids from all eras of the Star Wars universe. Gamemasters can choose from a host of new and familiar foes, including pre-generated enemies, to enhance their campaigns and challenge their players. 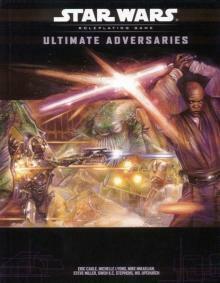 This title includes characters from all of the Star Wars films and from the expanded universe of other products.